19/04/19: The Alphard sits proudly within our highly acclaimed range of campervan conversions. 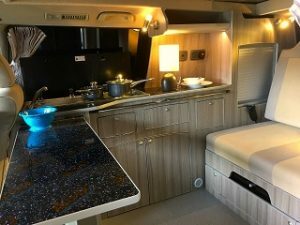 Offering unbeatable luxury and convenience within its compact external dimensions, it is the ideal first choice for those downsizing from larger motorhomes. It is also aimed at those who simply want the best balance of attributes in a package that can be used as daily transport 365 days a year and also as a quick get away vehicle for a weekend break or touring holiday. The Dorchester Full Conversion, along with our acclaimed Purbeck Rear conversion, is the ultimate Toyota Alphard motorhome.